$22.00 Ships within 24 hours. Avapro is used to treat high blood pressure. A member of the new family of drugs called angiotensin II receptor antagonists, it works by preventing the hormone angiotensin II from narrowing the blood vessels, an action that tends to raise blood pressure. Avapro may be prescribed alone or with other blood pressure medications. In people with type 2 diabetes and high blood pressure, Avapro is also prescribed to stave off damage to the kidneys, often delaying the need for dialysis and a kidney transplant. information about generic Avapro Important information about usage, risks and possible side-effects..
Possible Uses of Avapro : This medicine is an angiotensin II receptor blocker used to treat high blood pressure. It may also be used to treat other conditions as determined by your doctor. Before using Avapro : WARNING: This drug can cause serious fetal harm if used during the last six months of pregnancy. If pregnancy occurs, stop using this drug and immediately contact your physician. INFORM YOUR DOCTOR OR PHARMACIST of all prescription and over-the-counter medicine that you are taking. Inform your doctor of any other medical conditions, allergies, pregnancy, or breast-feeding. How to take Avapro : Follow the directions for using this medicine provided by your doctor. This medicine may be taken on an empty stomach or with food. STORE THIS MEDICINE at room temperature in a tightly-closed container, away from heat and light. IF YOU MISS A DOSE OF THIS MEDICINE, take it as soon as possible. If you are only taking one dose a day and do not remember your missed dose until the next day, skip the missed dose and go back to your regular dosing schedule. Do NOT take 2 doses at once. Precautions When Using Avapro : BEFORE YOU BEGIN TAKING ANY NEW MEDICINE, either prescription or over-the-counter, check with your doctor or pharmacist. 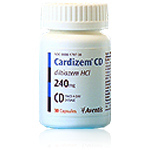 FOR WOMEN: USE OF THIS MEDICINE DURING PREGNANCY has resulted in fetal and newborn death. If you think you may be pregnant, contact your doctor immediately. 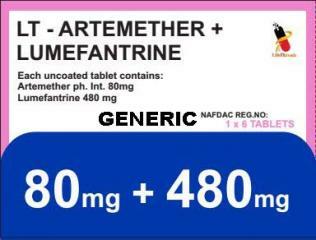 IT IS UNKNOWN IF THIS DRUG IS EXCRETED in breast milk. DO NOT BREAST-FEED while taking this medicine. 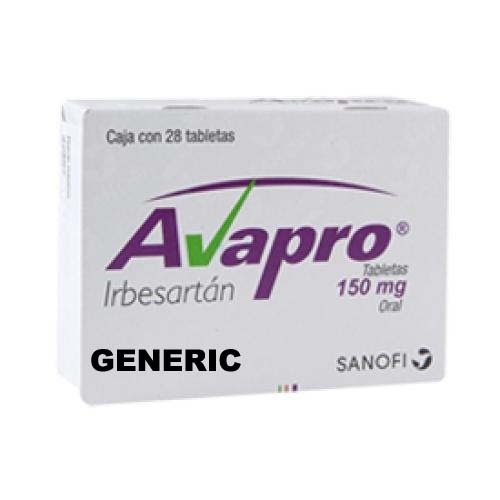 Side Effects of Avapro : NO COMMON SIDE EFFECTS HAVE BEEN REPORTED with the proper use of this medicine. If you notice any unusual effects, contact your doctor, nurse, or pharmacist. Drug Interactions of Avapro : Drug interactions can result in unwanted side effects or prevent a medicine from doing its job.Inform your doctor about all the medicines you take with and without a prescription. Storage of Avapro : Store at room temperature away from sunlight and moisture. Keep this and all medications out of the reach of children. Other Information of Avapro : DO NOT SHARE THIS MEDICINE with others for whom it was not prescribed. DO NOT USE THIS MEDICINE for other health conditions. KEEP THIS MEDICINE out of the reach of children. IF USING THIS MEDICINE FOR AN EXTENDED PERIOD OF TIME, obtain refills before your supply runs out.